Text for page descriptor goes here. St. Paul's bell came all the way from Buffalo, NY. in 1883. Note the spelling of Minneapolis. St. Paul's Evangelical Lutheran Congregation was organized July 6, 1872 under the leadership of Pastor O. A. Bergh. The first officers elected were: Pastor O. A. Bergh, chairman; B. Aasen, secretary; M. J. Rudd, treasurer. The trustees were A. Nilsen, A. Stamperud, H. Olson Bakke. The elders were I. I.Werstad, H. Henrikson, C. Christofferson. Pastor Bergh continued as the first pastor until October 30, 1873. The Ladies' Aid is mentioned in the church records for 1872, so it seems to have been active from the beginning. Mrs. Josephine Oppedahl, the last charter member, died in 1953. Pastor Chr. 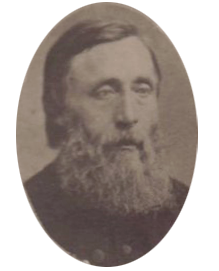 O. Brohaugh became the pastor in May 1874. In June the congregation purchased the church property on the northwest corner of 4th Street and 15th Avenue from "The First Congregational Society of Minneapolis" for $2,500. In 1876 the congregation was received into the Hauge Synod and C. Christofferson served as the first delegate to the synodical convention. Pastor Brohaugh served until April 1880. A tornado nearly decimated the church structure in (year). Pastor F. H. Carlson came in August 1880. It was decided on April 9, 1883, to move the old church to the rear of the lot and erect a new house of worship. According to a newspaper clipping of 1927, when the old building was sold, the church was built, "just before the first horse-car line was instituted between Minneapolis and St. Paul on Washington and University Avenues." "Minneapolis' population was only 50,000." It was the third Scandinavian Lutheran church in the city of Minneapolis. This was dedicated in June 1885. Meanwhile, a new parsonage had been built next to the church in 1884. Pastor Carlson left in February 1884. Pastor Eistinson's began service at St. Paul's in February 1884 and continue until June 1893. The report for 1887, shows that the congregation had a membership of 330 souls with 80 voting members. The choir began in 1890, continuing without interruption to the present time. Actual organization of the choir took place on December 18, 1899, with its own set of officers. Toward the close of Pastor Eistinson's ministry, a severe crisis developed in the congregation and 27 families withdrew their membership in 1893. The congregation soon rallied from the shock and Rev. K. C. Holter succeeded Pastor Eistinson in August 1894. The congregation continued to experience steady growth. All worship services were conducted exclusively in Norwegian until 1898. However, a strong Young People's Society of St. Paul's Church had been growing which later became the Luther League. Pastor Holter served until July 1897. The Society of Busy Bees was organized in 1897, with its aim to work toward paying off the debt on the church property. Many people were very poor and did not even have a table at which to seat the pastor when he came for dinner. It was with great sacrifice that the church debt was paid. With the coming of Pastor N. J. Lohre in January 1898, several significant changes took place. English services began to be held on the second and fourth Sunday evenings of the month. Not until 1937 were all services in English. The Young People's Society was changed to the Luther League (with a new constitution) on March 17, 1898. It had a membership of 75 by 1901. The Evergreen Society was formed for unconfirmed girls, with the purpose to teach them handiwork, read and learn the Bible and work for Home and Foreign Missions. When confirmed, they were accepted into the Queen Esther Society (not a forerunner of the present Esther Circle). An interesting note on finances tells that the total expenses of the congregation for 1899 were $1,935 (the year ending with a balance in the treasury), as compared with the 1994 budget of $212,000, approved by the present St. Paul's. In 1900, the Ladies' Aid installed a steel ceiling in the church auditorium at a cost of $540.00. In 1902 the balance of the church debt was paid and the burning of the mortgage was duly celebrated. Pastor Lohre closed his ministry at St. Paul's in 1903. God blessed the work as it continued under the direction of Pastor Martin Norstad, who served from May 1903, to May 1911. The regular program included Mid-week Prayer Meeting, Bible Class, Sunday School, Luther League, Ladies' Aid Society, Society of Busy Bees, Choir, and Sunday School Teachers' Meetings, in addition to the Sunday morning and evening services. The Helping Hand Society was organized in 1905 to promote missions. Pastor Edward Johnson assumed the shepherding of St. Paul's in September 1911, for a ministry of eight years, until May 1919. The pipe organ was installed under the leadership of the Busy Bees Society in 1912. In 1913, Pastor Johnson and a committee of five started what was known as the "Rice Lake Mission" in a store near Minnehaha Avenue South. This later became Our Redeemer Lutheran congregation. By 1914, it was decided that every other Sunday morning service should be conducted in English. St. Paul's lost its steeple in ? When Pastor Johnson left, the call from the congregation was accepted by Pastor A.L. Lawrence, who served from November 1919 to 1923. During his service, the congregation celebrated its Fiftieth Anniversary on June 11, 1922. The Busy Bees gave a new Miller Grand Piano in 1921. The Ladies' Aid had redecorated the church and replaced the gas lights with electricity, in addition to the installation of a new carpet in 1920. Ladies' Aid No. 2 spent its energies on promoting the Sunday School and supplying its needs. Pastor C. K. Solberg began a significant chapter in St. Paul's history in March 1924. In 1925, the Bethlehem Lutheran Church property, northwest corner of 18th Street and 14th Avenue South, was purchased for $25,000. The first service was held in the new house of worship the first Sunday in January, 1927. The former church on 4th Street and 15th Avenue was sold to the St. James African Methodist Church. With the larger facilities, the congregation grew to 417 souls by the time of the 60th anniversary on June 12-13, 1932. Since its organization, over 1,600 persons had been members for a longer or shorter time and over 700 had been confirmed. The new structure was almost as historic as the former St. Paul's, as the stones used in the walls were formerly part of the old Westminster Presbyterian church on Seventh and Nicollet (where Dayton's Store now stands), but which burned in 1895. The Ladies' Aid paid $2,000 toward the new church, and later paid another $2,000. The congregation experienced the pressure of the depression years. In the 1934 report, the pastor gives reasons for the financial problems of the congregation. It may be of interest that in 1931, a depression year, the congregation was paying $2,300 as the pastor's salary. The Busy Bees Society was discontinued and became the LDR (Lutheran Daughters of the Reformation), a name suggested by Mrs. Edward Johnson. The 65th anniversary was observed on June 20, 1937, and Pastor Solberg terminated his ministry to St. Paul's in August 1937. Pastor H. O. Egertson continued the warm evangelistic ministry of former pastors with a work that began in September 1937. The church office, pastor's study and prayer room were built, the entire interior of the church redecorated and a new altar painting provided in 1939-1940. At the annual meeting of the congregation in 1940, the constitution and by-laws were revised and the church council introduced. Since then the Council has met regularly each month to consider the spiritual and business affairs of the congregation. During this time, the congregation engaged two neighborhood missionaries and a "Sunshine Girl," and in 1940 a full-time evangelist and a parish secretary. A parish paper has been published since 1937. For several years the congregation conducted its own tent mission each summer to reach the unchurched in the immediate community. A growing interest in evangelism and missions was indicated by an increase in contributions to the synodical and other work. Many members entered full-time Christian service at home and abroad. From about this time, the congregation followed the earlier lead of the Ladies' Aid in 1899, and carried on its work without using artificial means of raising money. All contributions continue to be made by free-will offerings and tithes for local and synodical work. This was reiterated by the congregation's council in a resolution dated June 27, 1950. Pastor Egertson terminated his ministry at St. Paul's in February 1941. During his time, the transition was made to all English services. He was succeeded by Pastor L. C. Masted, beginning June 1941, with the same evangelistic emphasis. A radio ministry had been begun in 1938-39 over WDGY, and this radio work was renewed in 1941 over WMIN by Pastor Masted. He continued with the tent missions, having as many as eight weeks each summer. Many members were serving as missionaries at home and abroad and sons of the congregation prepared for the ministry. During this time the congregation assumed support of Bernice Boyum as missionary to Japan. In 1946, the congregation also had the joy of burning the mortgage on their new church home, after 20 years of indebtedness. At this time the Sunday School was working with an enrollment of 349 (in 1942) under 22 teachers. Pastor Masted concluded his ministry here in February 1948, and Pastor Robert G. Hovland served as interim pastor. The warm evangelistic emphasis was continued during the ministry of Pastor Maynard Halvorson, which began in September 1948. The parish house and an annex were purchased soon after he came, and dedicated October 31, 1948. The cost to the congregation was $25,000, as much as the original price of the church. Pastor Halvorson was given permission to travel occasionally in evangelistic work. During this time also, some of the first meetings of what is now the L.E.M. (Lutheran Evangelistic Movement) were held at St. Paul's Church, revealing an interest in evangelism that the congregation still maintains. St. Paul's has also always taken a warm interest in and support of The Lutheran Bible Institute and other independent movements. Several previous pastors had provided their own parsonage since the move to 14th and 18th. After the purchase of the four-plex, Pastor Halvorson used that as a parsonage, until a new parsonage was purchased at 4717 10th Avenue South. Pastor Halvorson closed his ministry at St. Paul's in July 1956. During his ministry, the faithful custodian of 10 years service (1940-1950), Mr. A. B. Nelson, retired. Though not all could be named here, the congregation owes much to its faithful custodians, as it does to its other faithful workers. The congregation was served in the interim by Dr. George Aus of Luther Seminary. Pastor Caroll O. Satre arrived in January 1957. Soon after his coming, the house at 4836 10th Avenue South was purchased to furnish a more adequate parsonage. The work continued to press forward with the same spirit of concern for souls. It was during this time that Rev. Herbert Malm served the congregation in the area of visitation and outreach. When it became apparent that the government project for freeways would bring a condemnation of our property at 14th Avenue and 18th Street, the former First Presbyterian Church property (which then was in the hands of the Global Gospel Fellowship) was purchased as the future home of St. Paul's. It was renovated at a cost of $215,000, and on April 26, 1964, dedicated. Since St. Paul's is a pioneer congregation in Minneapolis, it was fitting that the structure originally built by the "oldest Protestant Church in the great northwest" became the new home of St. Paul's. The bell in the tower is historic, used in the early days of Minneapolis to call together the village meetings. Throughout Pastor Satre's years, messages from St. Paul's were broadcast weekly on radio station KTIS. Several current members can point to these broadcasts as their introduction to the congregation. By 1964 membership had grown to 1422 baptized members in 644 families. An strong emphasis on evangelism and missions continued, with close ties to the Lutheran Evangelistic Movement and the World Mission Prayer League. During the years of Pastor Satre's ministry, Evangelist Philip Hanson served the congregation full-time, and some time later, after the resignation of Evangelist Hanson, Pastor Robert Kasperson served for several years. After Pastor Kasperson left (taking a call to serve Hauge Lutheran Church in Chicago) the parsonage on 10th Avenue was sold. In October 1972, the congregation celebrated it's Centenial, with a week of meetings on the theme "A Century of Sharing Christ." Ministry with youth was a priority, with full or part-time youth workers on staff throughout these years. In the early 70's the youth ministry flourished, and under the Holy Spirit's guidance, there was a resurgence of spiritual life and growth among a number of the young people. Also at this time Pioneer Girls and Boys Brigade groups were started for children. There was a renewed interest and effort in visitation evangelism, and during certain times of the year, smaller midweek Bible Study and prayer groups were held at various homes, as well as those meeting at the church. In November 1980, the congregation celebrated the burning of the mortgage. At this time it was decided to begin a vision project called "Operation Neighbor" and in April 1981 a full-time Neighborhood worker was hired. Other full-time staff members during Pastor Satre's years include: Secretaries: Rikka Ruud, Colleen Kratzke, Jean Ostriem and Marilyn Peterson; Lay Workers: Agnes Anderson, Ron Dobervich, Stephen Papillon; Seminary Intern: Bob Cottingham; Youth Workers: David Proctor, Dean Bernard, Steven Bang and Stan Kyllo; and Custodians: Ralph Isenberg, Odin Nelson, and Bob Halvorsen. After Pastor Satre's retirement, the congregation began a deep, introspective discussion on its participation in the Lutheran merger, upcoming in 1988. During 1987-88, under the leadership of interim pastors Conrad Thompson and Waldo Johnson, the congregation prayed and pondered. Two votes were taken. Both needed to pass by a majority of 2/3 to leave the ALC before the merger. The first succeeded. By a few percentage points the second failed. Following the 1987 vote, several members felt that they could not be members of the ELCA. Many young families left. The congregation immediately entered the call process and selected Rev. Roland J. Wells, Jr. as their fifteenth pastor. Pastor Wells began his ministry by extensive visitation, asking the congregation, "What is your vision for the future of St. Paul's?" Simply by answering the question, the congregation began to look forward. The Staff, Pastor and Council began to look at their strengths and focus their ministry. Pastor Wells developed the House Church structure now in place, based on the model of the Korean pastor, Yongii Cho. In 1990, nineteen from the congregation served in a short term mission to Por Venir, Baja California, Mexico. The first seven years: Rebuilding & Reconnecting (1988-94) saw the congregation coming back together, re-establishing its identity through the House Churches and a three-year overview of the history of Pietism, Scandinavian Neo-Pietism and the LBI Revival. For about a decade the congregation ran Summer Advance, an all-day, all-summer youth program for neighborhood kids. This was discontinued when the Minneapolis Schools began a much more extensive required summer school program which many of those kids were required to attend. The second seven years: SUM (1995-2002) saw the founding of the School of Urban Ministry, (SUM) now called MisisonShift Institute. (see www.MissionShift.org) The congregation firmly aimed its ministry at world missions and urban cross-cultural education. 1996-97 was the height of the crack wars in Minneapolis, and our corner was often the worst crack street in the city. How things have changed! The third seven years: U4C (2002-2009) saw the founding of U4C- the Urban Cross-Cultural College Consortium, a new, residential urban studies/ministry major or minor offered by Concordia University, Crown College and Northwestern College. St. Paul's provided the organization, building, housing and oversight. See www.U4C.org The MissionShift DVD series was filmed and distribution began. MissionShift and U4C have received international recognition; see http://www.lausanne.org/en/documents/lops/873lop57.html Two houses were procured and grants were arranged to cover the cost of an Associate Pastor, in order to free up Pastor Wells to work on the educational programs. Currently, with all these programs up and running, the congregation is continuing to build strategic networks and alliances, as well as mentoring immigrant congregations and leaders. 2010 saw St. Paul's move from the ELCA to LCMC- Lutheran Congregations in Mission for Christ. The congregation made it through the two votes with neither strife nor loss of members. The second vote was unanimous. The next few years we will concentrate on the growing congregation and strengthening the ongoing ministries of its related organization. 2012 saw the founding of an independent branch of MissionShift Institute at Concordia Seminary in St. Louis, MO. Lois Bodurtha as Music Director. Lois celebrated 35 years with St. Paul's in 2011. In the Youth and Summer Advance, leadership have included Yan Roeun, Andrea Sennes, Jennifer Humburg, and Sammy and Kristi Sylvester, Katie (Bodurtha) Bopp, and Andrea (Lebens) Scharmer. Interns, Dave Fitch, Matt Griggs, Troy Troftgruben, Tim Hanson and Jennifer Pietz. School of Urban Ministry/MissionShift have been served by Beth Goblirsch, Andrea (Lebens) Scharmer and Jennifer Schewe. U4C has been overseen by Andrea (Lebens) Scharmer, Traci Kohls and Kari Raia. Pastor Kenath K. Harris was called in 2004 to serve as Outreach Pastor. Upon his callup to serve with the Minnesota National Guard in Iraq in 2008, Ken resigned his call here. Pastor Kurt M. Linn was called on to fulfill this role in 2008. El Shaddai, Jesus in the City, the Ethiopian Evangelical Church, Iglesia Centro Cristiano de Minneapolis and Ebenezer Oromo Evangelical Church. St. Paul's continues to draw passionately committed members from around the Twin Cities. About one-third of its membership comes from within a three-mile radius; about one-third from a six mile radius and the rest from a 60-mile circle including Eagan, Lakeville, Chanhassen, Shakopee, Maple Grove, Maple Plain, New Brighton, Roseville . . . and all over. On any given Sunday our congregation has people from five generations and four races. Come and see why!